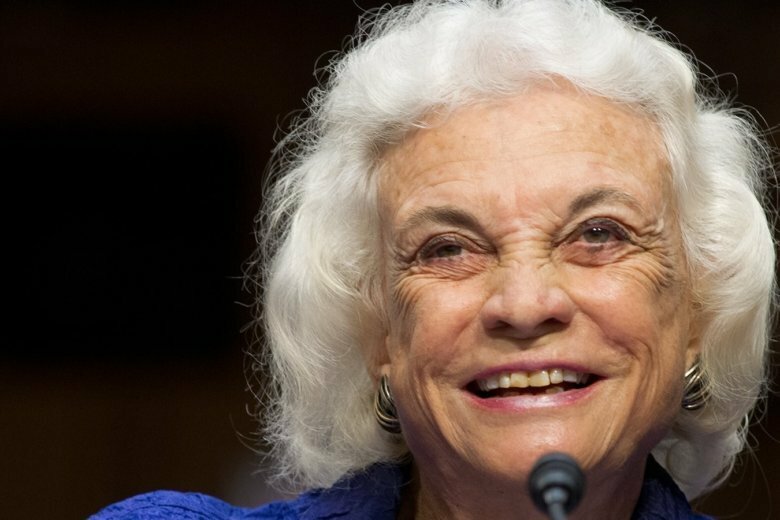 A new biography of Justice Sandra Day O'Connor details her agonizing struggle with her husband's dementia in the years before she retired and her later angst as she watched the court lunge rightward and faced her own declining health. A new biography of the first woman on the Supreme Court details her agonizing struggle with her husband's dementia in the years before she retired, her angst as she watched the court lunge rightward and her own declining health. A new biography of the first woman on the Supreme Court details Justice Sandra Day O’Connor’s agonizing struggle with her husband’s dementia in the years before she retired and her later angst as she watched the court lunge rightward and faced her own declining health. Veteran author Evan Thomas captures in “First,” released Tuesday, the woman who lived much of her life in the spotlight yet who, in the quiet of her home, struggled with common health difficulties and the vicissitudes of age. He writes that O’Connor, who will be 89 on March 26 and has Alzheimer’s disease, generally declined to discuss cases and her approach to the law. But he adds details to familiar court dramas such as Bush v. Gore, the Florida election dispute that culminated the presidential election in 2000. When President Ronald Reagan appointed O’Connor in 1981, the Arizona state court judge, then 51, offered a fresh image of female achievement. She had a compelling personal story and exuded a superwoman persona: the child of a pioneering ranch family in Arizona, she graduated from high school at age 16 and attended Stanford University; then after law school, when male-run law firms rejected her, she set up her own office; she became a state senator then a trial and appeals court judge, all while raising three boys and engaging in vigorous social and sporting life with husband John. Her competitiveness — in everything — became legendary. On the Supreme Court from September 1981 to January 2006, O’Connor became a crucial swing vote, steadying the bench and influencing the law from abortion rights and affirmative action, to criminal due process and checks on the Bush administration’s post-September 11, 2001 war on terrorism. Her home life was more complicated in the late 1990s when John first showed signs of his Alzheimer’s. In the early 2000s, she feared leaving him alone at home and brought him to her chambers at the court. By the fall of 2004, another factor was in the mix: Chief Justice William Rehnquist was suffering from thyroid cancer. O’Connor and Rehnquist knew that two justices should not leave at the same time and aggravate the already politicized confirmation process. As the annual court session was ending in June 2005, Rehnquist told O’Connor he believed he could last another year. That prompted her to seal her retirement decision to retire and she revealed it in a letter to Bush on July 1. But then Rehnquist died, on September 3. Thomas writes that O’Connor had lingering concerns about her interactions with Rehnquist. Rehnquist and O’Connor were able to resume their friendship, and in time their respective families socialized together in Phoenix and in Washington. Thomas details O’Connor’s criticism of the current Supreme Court, her disappointment in the 2010 Citizens United ruling, for example, that lifted regulations on corporate and labor union election contributions, and unhappiness with Justice Samuel Alito, her far more conservative successor who voted to reverse some of her moderate rulings. In October 2018, O’Connor’s family released a letter that revealed her Alzheimer’s. Thomas documents in his book signs of related memory and behavior issues beginning about five years earlier. One of the final anecdotes in the book occurred after O’Connor had been retired for nearly five years. The setting was the annual Alfalfa Club dinner in Washington, a year after husband John’s 2009 death, with President Barack Obama in attendance. It was vintage O’Connor.